Wild swimming with Selkie Swim Co. The summer may be coming to a close, but UK cold-water swimmers are rejoicing. My husband has been hooked on wild swimming / open water swimming / cold water swimming – call it what you will – for the past 4 years, since he was cajoled into joining his friend’s monthly cross-London swim and run event. Aptly named The Swimmer after the 1960’s Burt Lancaster film, ever since he has been well and truly addicted. Maybe it’s because his first experience was on that November event, launching himself into the icy Serpentine, but for him, the colder the better. Tile encased, chlorine-filled municipal pools are not for him, his affinity is with swimming in lakes, rivers and seas complete with open skies, fishes and plant-life. For him, the buzz comes from the release of serotonin on contact with the cold water, as well as the wonder of swimming in natural surroundings and the calm, meditative state induced by being immersed in nature. I’ll admit, I don’t share his love of the cold and will only take a dip outdoors when it’s balmy hot – although after an unfortunate coming together with a jellyfish this summer, I may have to think twice. I do however, share every adventure with him in my role as chief navigator; soup-maker; flask-holder and safety look-out, and we plot every swim back home on a huge map of the UK with flag pins. We were sent some of Selkie’s wild swimming gear to review, and so headed out this weekend in search of the perfect local spot. 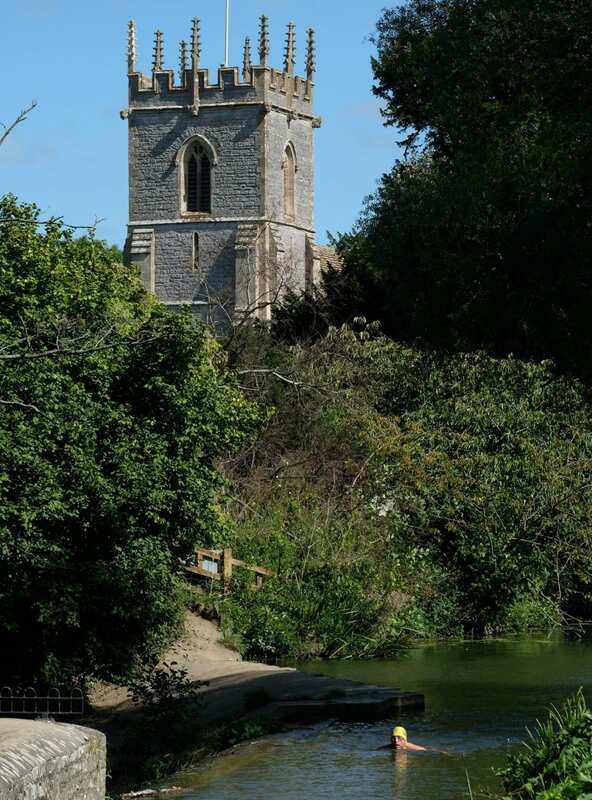 Less that 40-minutes’ drive from our home, we found this picturesque river, back-dropped by an impressive weir and a magnificent 17thcentury church. Selkies of course, are Scottish mythical sea creatures, capable of turning from water-dwelling seal-like animals, into humans. I have often wondered if my husband is part merman! For many open-water swimmers, part of the euphoric experience is feeling the water on the skin. So therefore, despite the cold, many eschew rubber wet-suits, preferring to wear as little as possible (sometimes nothing at all – but that’s another story!) The brand Selkie was born from this desire to cater for the new and growing breed of wild swimmers out there reclaiming the rivers, lakes and seas. We tried out the Jammers, not a style of shorts he has ever worn before, but I think he’s converted! A perfect hybrid of the traditional swim trunks and longer board shorts, this style offers a streamlined shape together with extreme comfort. Made from a sustainable fabric from 100% regenerated fibre from post-consumer materials, you can sleep easy knowing this purchase isn’t adding to the micro-plastic crisis hitting our waterways. The sizing was spot-on, the stitching quality excellent and we loved the design. These close fitting shorts are also perfect for wearing under clothing, ready for a quick change and no danger of inadvertently exposing yourself while getting ready for a dip! 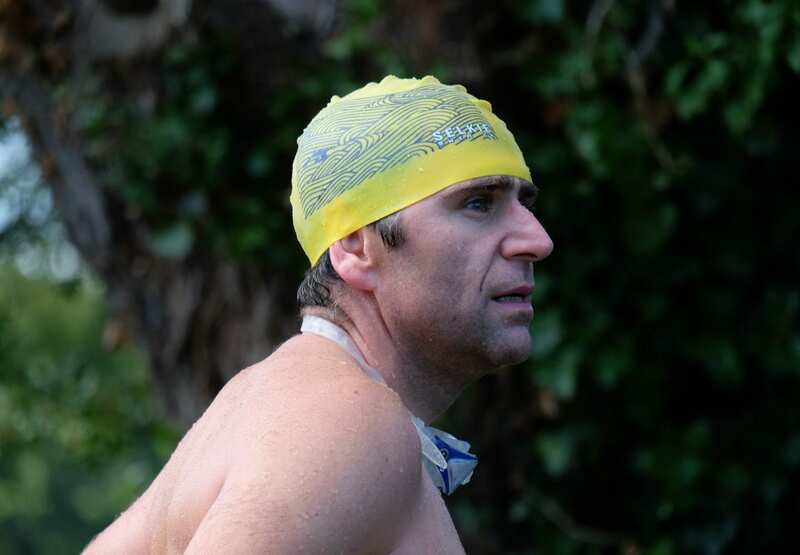 We also tried out one of the Selkie swim caps, and opted for yellow for safety and visibility from dry land. The ‘science’ that you lose 50% of your body heat through your head may have been debunked, but the husband still always wears a swim cap in the colder months and swears it reduces his post-swim shivers. The Selkie caps come in numerous stylish designs and colours, perfect for the fashion-conscious wild swimmer. We found the fit to be good and the thickness just right for year-round swimming. However, by far our favourite item from the range was the Selkie change swim bag priced at a very reasonable £20. 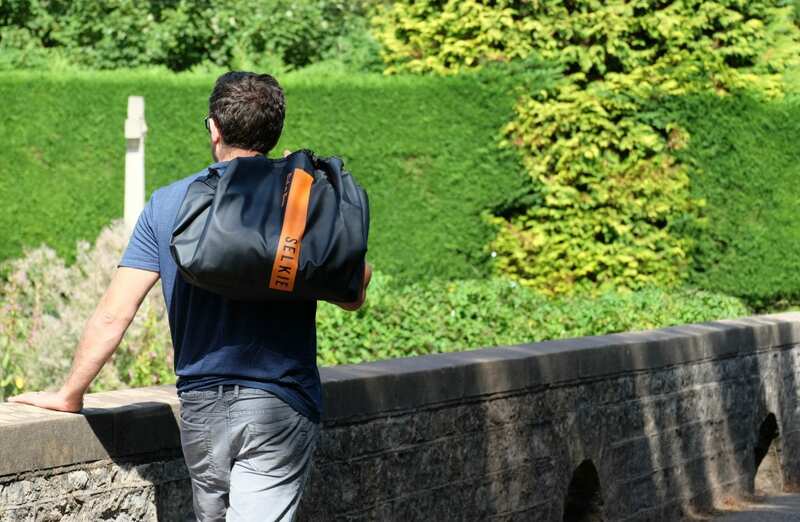 An ingeniously designed bag which doubles as a wet-bag to hold your post-swim clothes and wet towels, and a circular waterproof changing mat. Anyone who has swum outdoors will know all too well that inelegant one-legged balancing act of trying to dry your feet and get your socks back on without getting covered in sand or mud. Some of the places we visit for swims can be boggy; gravelly; rocky or muddy and we can vouch for how important it is to have dry tootsies before putting back on your boots – especially if you’re on a lake swim which has involved several hours trekking up a mountain! I honestly wish we’d found this bag sooner, it’s definitely going to be a game changer. Selkie offer a range of women’s swimwear too (I’d love to see a ladies longer-legged swim suit or ladies shorts), as well as other swim accessories and hoodies and t-shirts. All of the items arrived by post promptly, and were beautifully wrapped, in recycled and recyclable packaging. 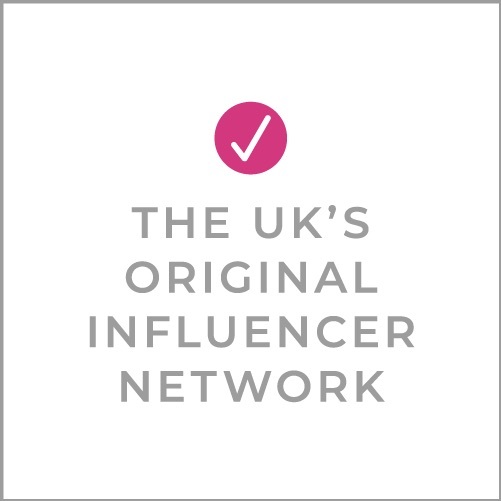 As well as the brilliant quality and style of the clothing, what I think we liked even more was the company’s ethos – both in terms of their commitment to sustainability and their desire to make wild swimming more accessible. So go get out there and give it a try – you never know, you might get hooked too!